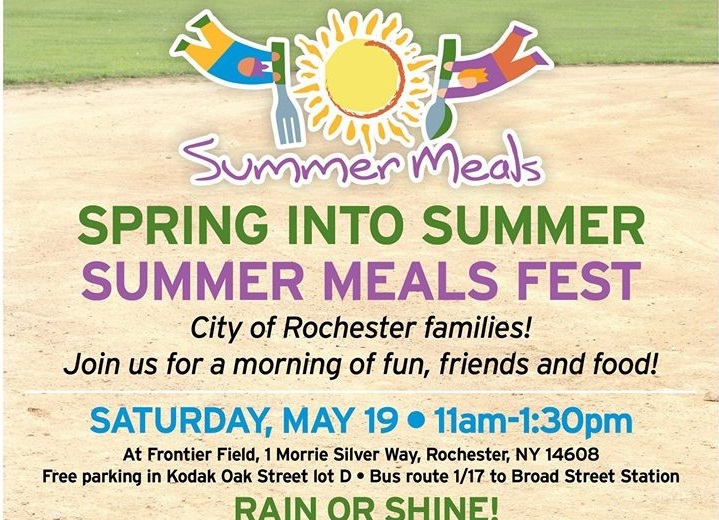 The Summer Meals Partnership of Rochester will hold its 2018 “Spring into Summer: Summer Meals Fest,” Saturday, May 19, from 11 a.m. to 1:30 p.m., at Frontier Field, 333 N. Plymouth Ave. 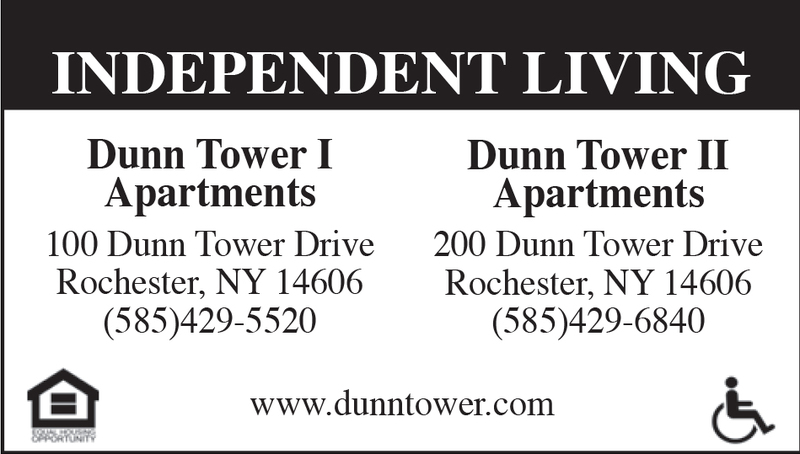 According to officials, the festival will include fun activities for youth such as a bounce house, obstacle course, and meet-and-greet with Red Wings players and Buffalo Bills great Thurman Thomas. In addition, families will also have an opportunity to sample some of this year’s new menu items. The Summer Meals program will offer kids and teens, ages 18 and under, free meals at recreation centers, churches, schools, and other neighborhood programs during the summer months. The program begins after the last week in June, once the school year ends. 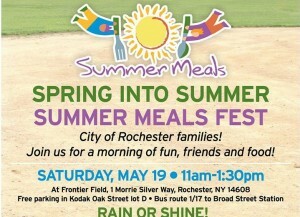 Visit www.summermealsroc.org for additional information regarding the program.